Must-have item for loco girls and hula girls! You can wear this as a dress, a skirt or a beach cover-up in a variety of ways. 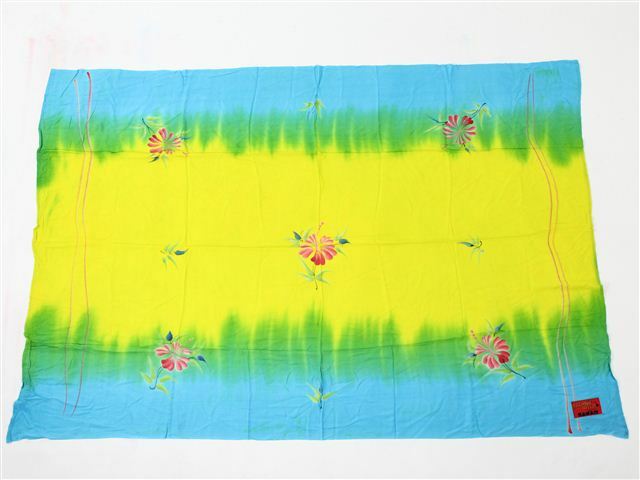 Also you will love to use it as a beach blanket, interior decoration and lots more! The pareos come with pareo holder and they are hand-printed, using classic, unique and stylish designs. Hand wash and hang dry in the shade. Green Elastic Maile Headband 19"